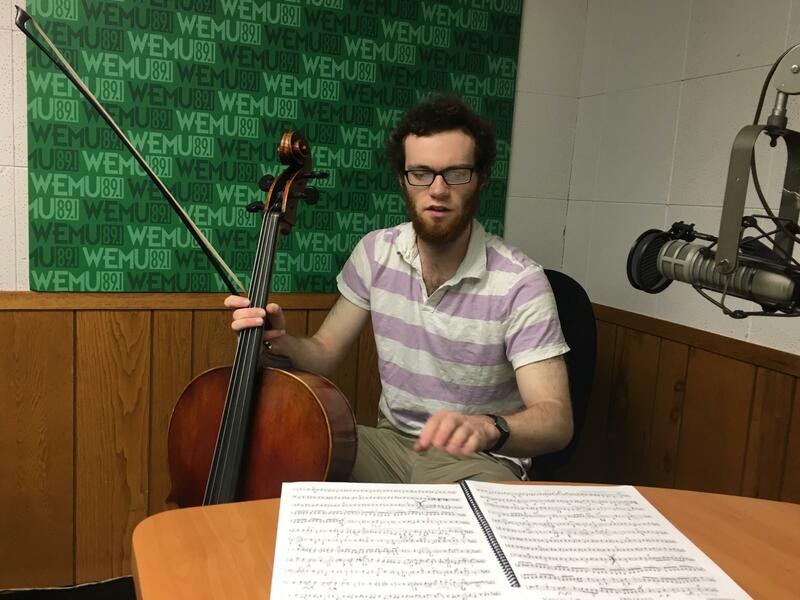 Orchestra Member and University of Michigan Medical Student Whit Froelich (Left), WEMU Program Director Patrick Campion and Orchestra Member and U of M's Lead Public Relations Representative Kara Gavin (Right). Click through to see more. 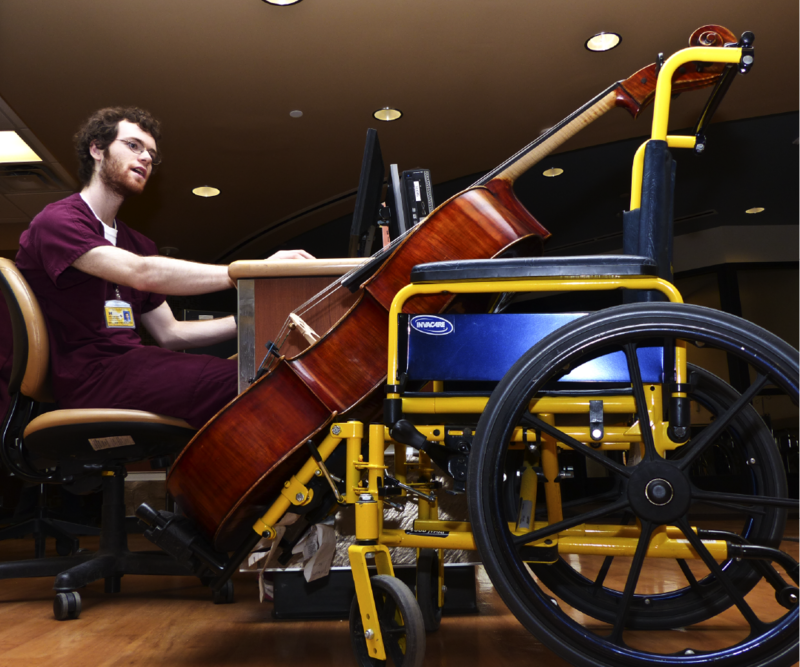 Whit Froelich “triages” his cello at the Emergency Department check-in station where he works. 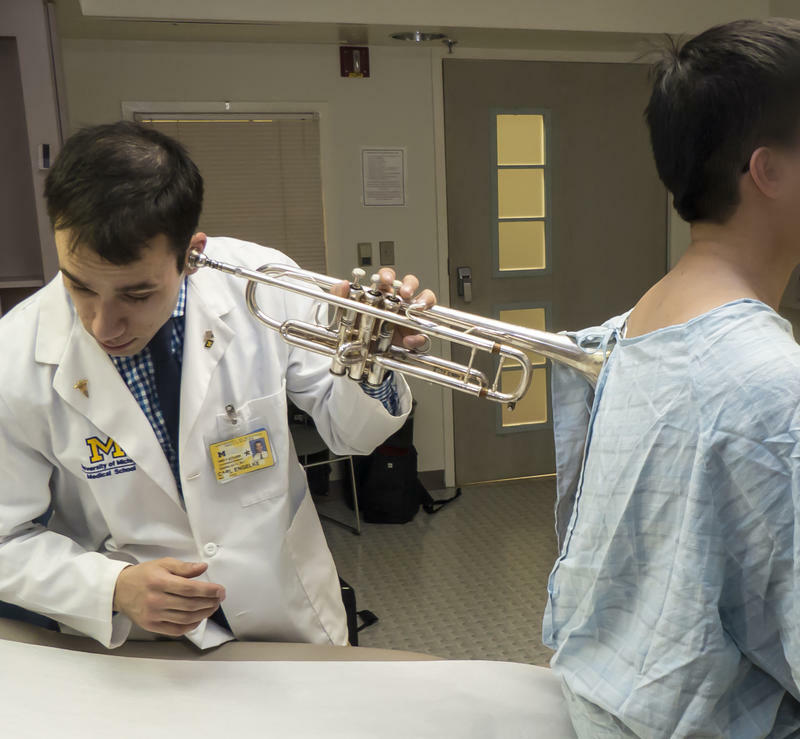 There is a unique musical ensemble in Ann Arbor comprised of amateur musicians who all work and/or study in the science and medical fields. 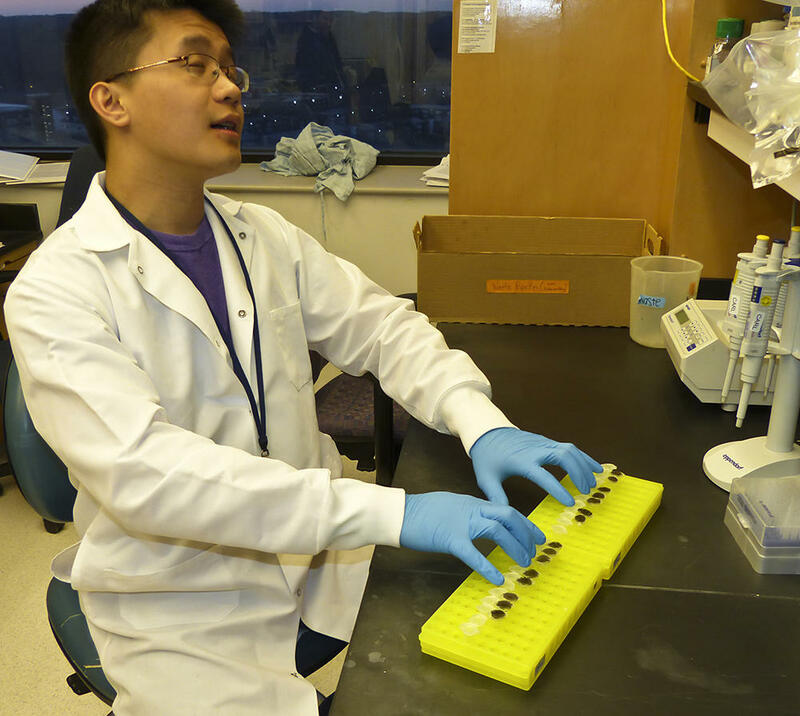 I spoke to two members of the University of Michigan Life Sciences Orchestra. 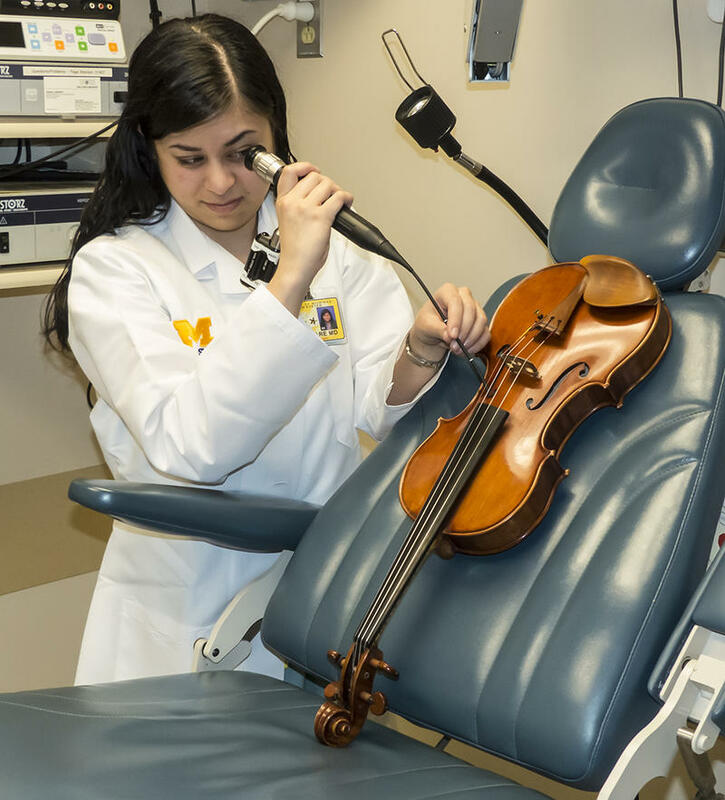 Musicians must audition to join the orchestra, which has members ranging from mathematicians to epidemiologists, to med school and dental students, a health economist, and a veterinarian who went to U of M.
Whit Froehlich is a second-year medical school student at the University of Michigan Medical School. The orchestra performs two concerts a year free of charge, and there is one coming this Saturday, January 21st in Hill Auditorium at 8pm with a pre-concert talk at 7pm. The orchestra will be conducted by Todd Craven. Thousands of students gathered at the University of Michigan's Diag for a rally and march to protest white supremacy. 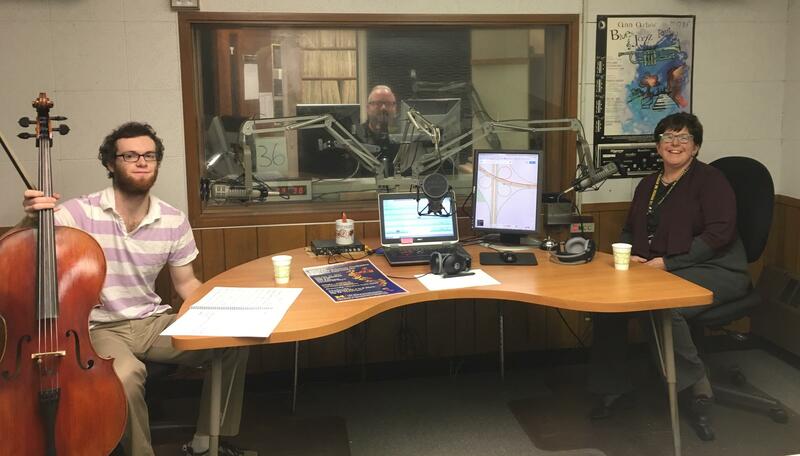 WEMU's Jorge Avellan reports on Rev. 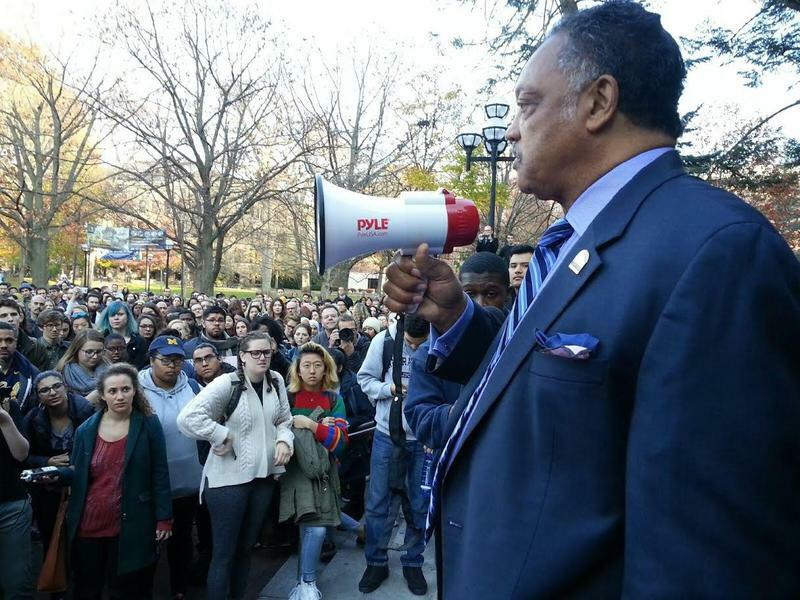 Jesse Jackson's attendance at a U-M student rally. 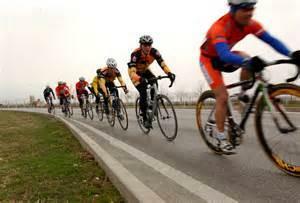 A University of Michigan symposium is planned today in honor of civil rights leader Jesse Jackson. Meanwhile, students at U of M are planning a "campus walkout" around the same time. WEMU's Lisa Barry reports on a campus walkout scheduled today at U of M.